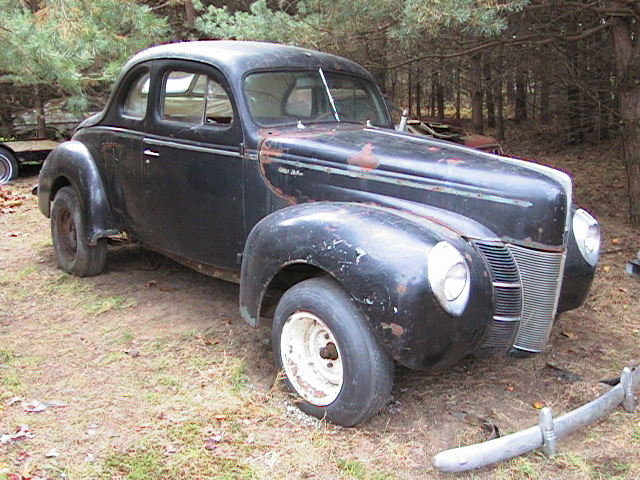 1940 Ford Deluxe Coupe - Former Hot Rod from back in the day. 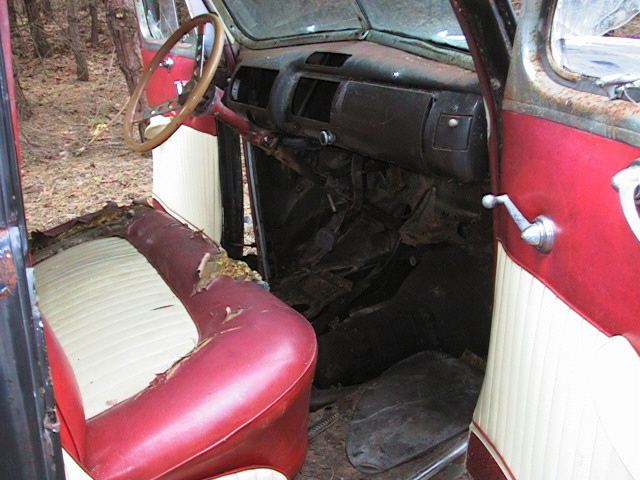 It has Red & White Tuck & Roll interior over top of the original seats and door panels along with the window moldings chromed. All Glass needs replacement for clouding, cracked or missing. Door glass crank up and down fine and doors close well. Front suspension is original & stock with reversed wheels. for transmission clearance I believe. There is a small block Chevy set in place for an engine. I have no idea if it ever ran with this engine & condition unknown. It has a 1957 Chevy rear end with tack welded spring mounts to the frame. There is solid cement filling the trunk tool area compartments. Scary the way they did things back in the day! The body is exceptionally Solid and Straight. Drip rails are all there & I have original running boards and bumpers. Car is missing some moldings So what you see is what there is. The trunk floor is rusted out and I believe the easiest fix would be a complete replacement floor along with tool compartment and tail panel below trunk lid. The car had one black lacquer paint job over the original paint many years ago which is all cold cracked and peeling off everywhere. I originally got this car because it was on my bucket list. 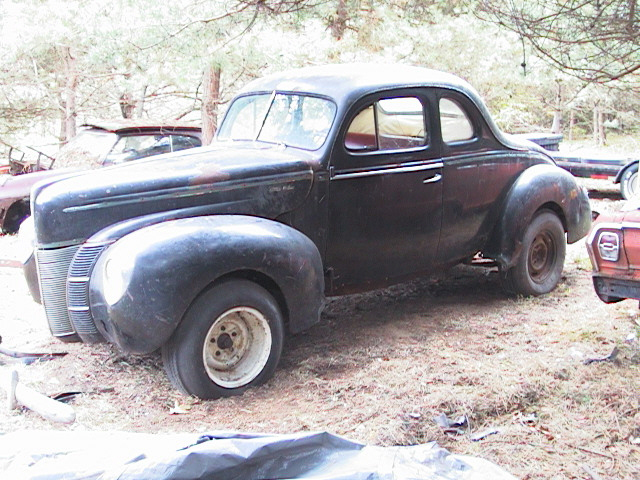 I don't need to sell it and hope to get it restored one day after other projects ahead of it are finished.